modulOne measures 380 square feet. 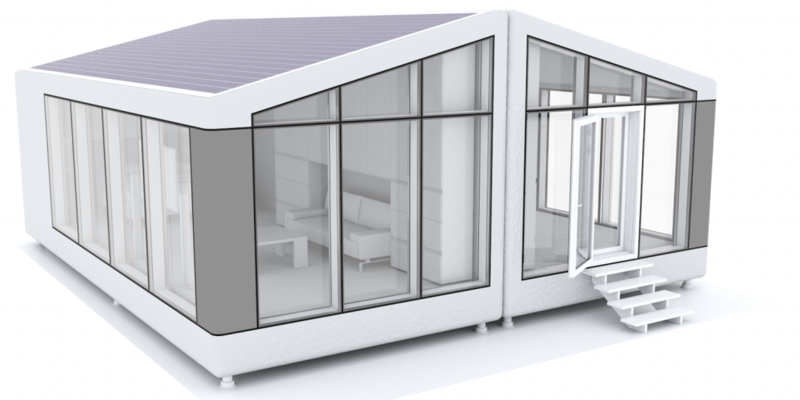 modulTwo measures 775 square feet, or put four modulOne’s together to create 1,550 square feet of living space. 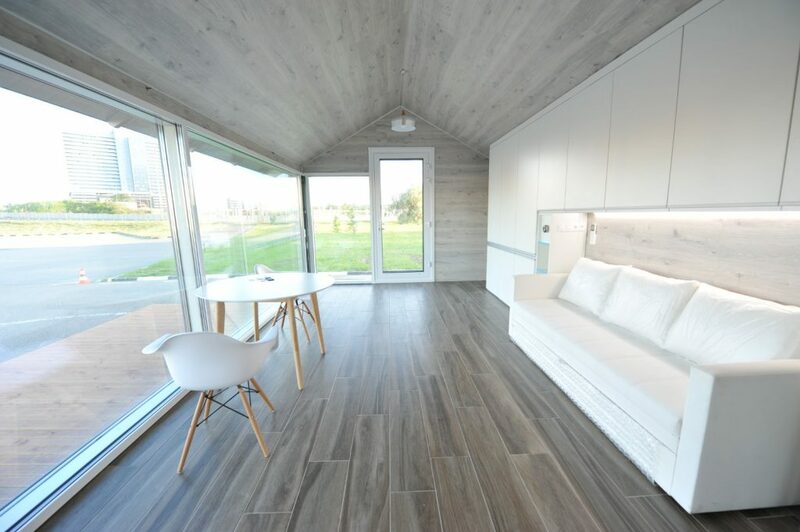 PassivDom is an off-grid house that uses only solar energy to satisfy its inhabitants’ needs: climate control (heating and cooling), water generated from air humidity, air quality, and carbon dioxide control. The house also produces PV electricity for all household appliances. No electricity transmission lines, gas pipelines and plumbing serve the house, so it can be easily located anywhere you wish. Water and sewage systems are fully equipped. The off grid house is fully equipped with all engineering systems, including an air recuperation system, a heat pump for heating and cooling with a remote-controlled thermostat hub, an air quality medic HEPA system, a photovoltaic off-grid system powered by LiFePO2 batteries, a gray water filtration system with heat recovery, heat energy storage, a boiler, and a water tank. The homes come completely furnished. Available in sizes ranging from 380 square feet to 1,550 square feet, the innovative homes are sold completely ready for living, with furniture, household appliances, a kitchen, shower, and even pillows provided. Go here for pricing, a list of amenities included in each model, and more information. PassivDom offers additional options including a wood burining fireplace, home theater, and satellite TV. 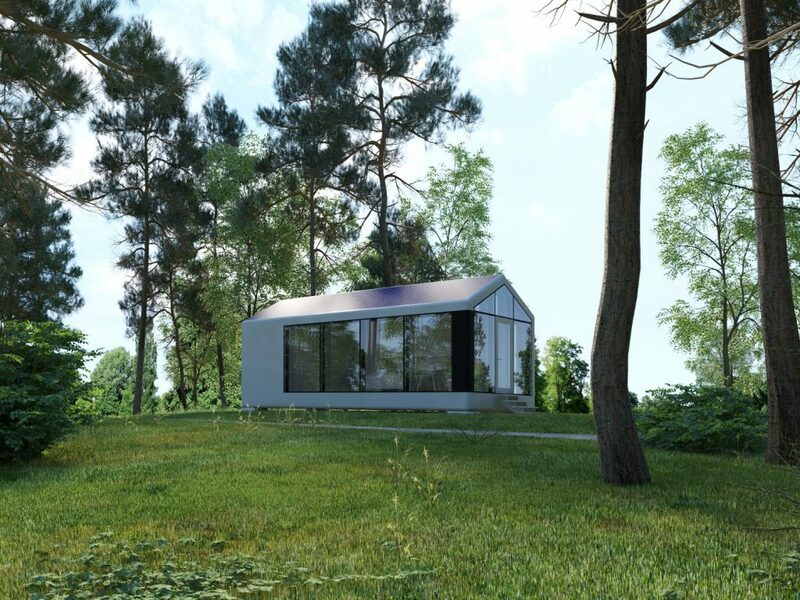 The frame of the house is produced using an industrial 3D-printer robot. It prints layer by layer using manipulators. The printing materials include carbon fiber, fiberglass, polyurethane and resins. All components are environmentally safe and easy to recycle. The strong frame makes it possible to build without a foundation, so the unit is mobile and can be transported many times. 3D-printing technology means endless possibilities: the shape and design can be adapted to the requirements of any local market. It also means cheap and rapid production. 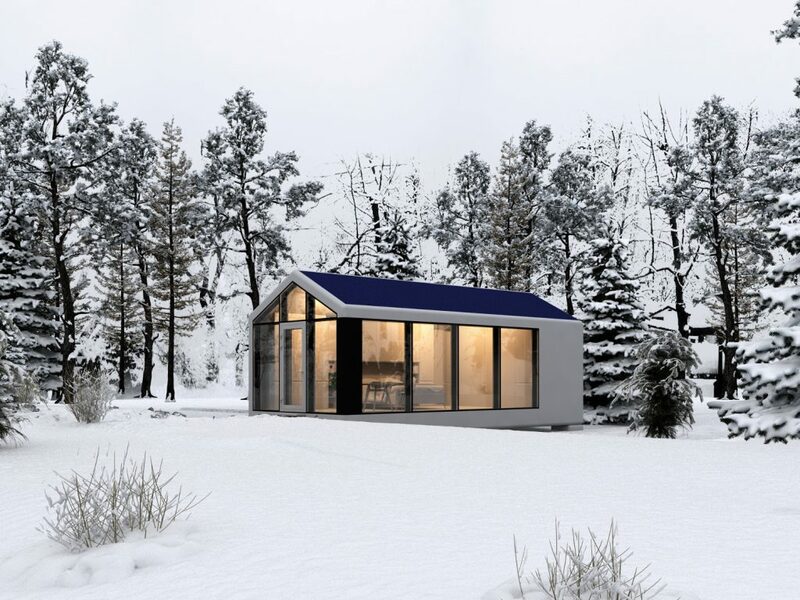 Completely modular, transportable, and no need for electricity, gas, or water hookup, a PassivDom home can be located anywhere. All devices in the off grid home are connected to the Internet Of Things network and can be managed remotely via an iPhone or Android device. Internet service is provided free of charge for a year. A self-learning system controls air quality: carbon dioxide content, humidity and oxygen. The home is also connected to an online service system for distance monitoring and fault prevention. Additional high-tech options include an integrated home theater, satellite TV, blinds for all windows, and wood-fired fireplace. The modular construction allows for several modules to be combined to create a larger building — like Legos. The house is transported on a platform and installed without a foundation. The roof is covered with solar panels, which generate power for the home. The house does not need stable sun orientation due to PV over-productivity, even in the case of poor winter insulation in cold climates. 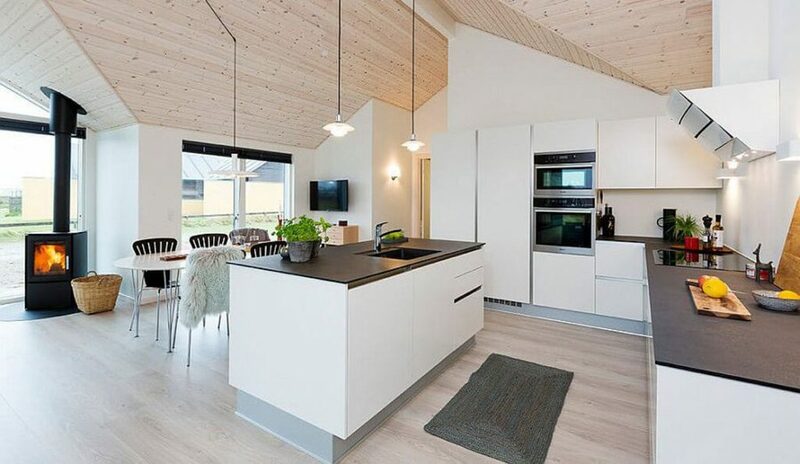 PassivDom meets the Zero Energy House standard and does not require any fuel for heating in cold climates.